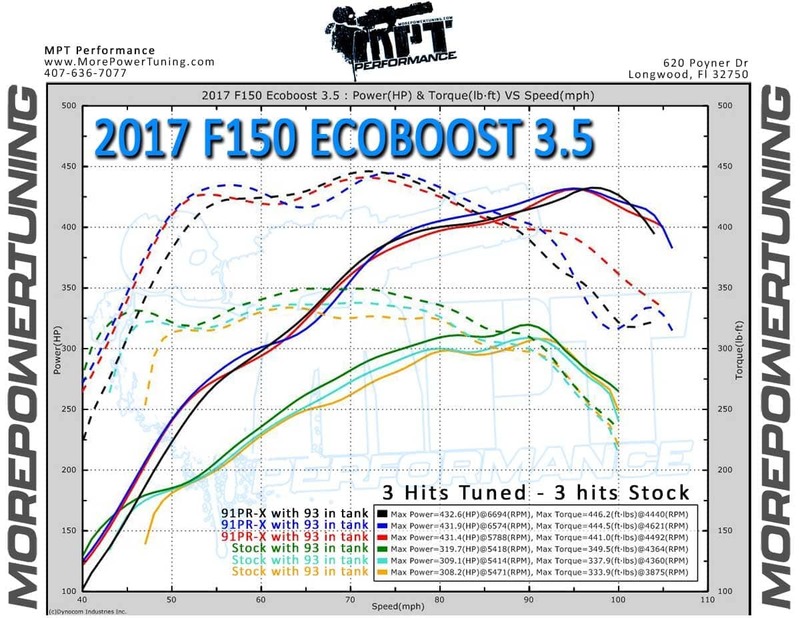 What MPT tunes are available for the 2017 - 2019 F150 Ecoboost 3.5L? This graph shows 3 stock hits and 3 hits with the MPT 91 PR-X tune loaded. The truck had 93 in the tank for all runs. I highly recommend MPT. 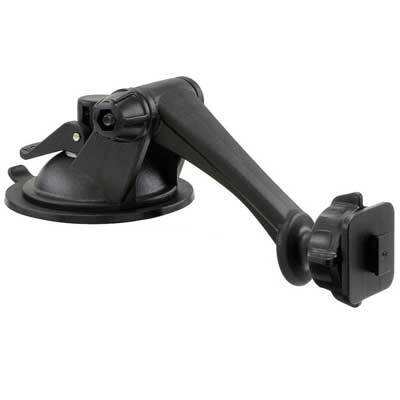 The communication regarding purchase, tech support, shipping was excellent. The best part is the tune itself. My 2017 F150 3.5 Ecoboost came to life it’s ike driving a whole new truck. Keep up the good work guys. Strong work at MPT. Want to start or by saying this is my 2nd ecoboost tuned by MPT and I wouldn't have considered going anywhere else their customer service and support are top notch. The PRX tune for this 17 ecoboost is amazing crazy power and perfect drivablity I can't stop smiling Everytime I drive the truck the truck full weight crew cab 4x4 went 13.09 in the 1/4 only my 2nd pass! The tow tune pulls like a diesel and shifts perfect. If you haven't tuned your 17 stop waiting MPT has these trucks running amazing ! Great product, these guys know their stuff. Customer service was excellent. 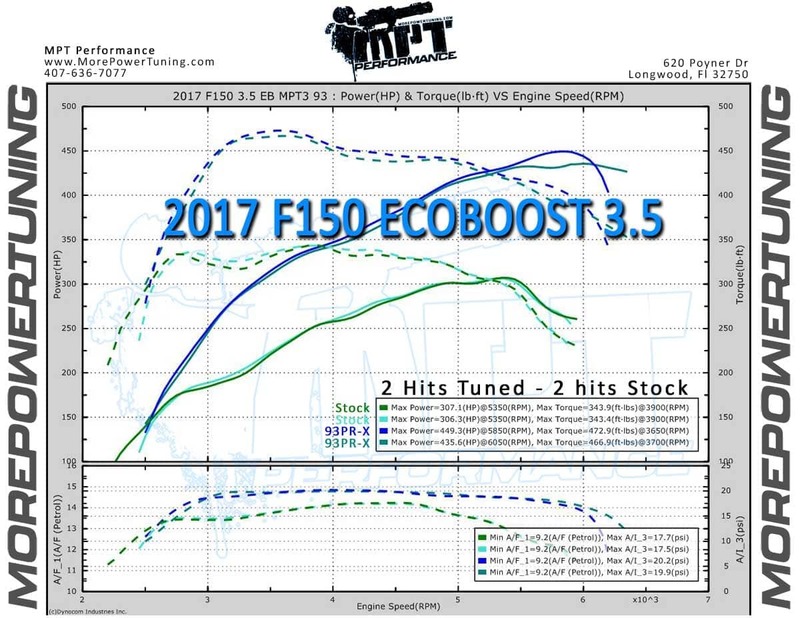 Tried a few devices from two other tuners on my 2015 F150 3.5L Eco truck and decided to give the crew at MPT a shot on my new 2018 truck. 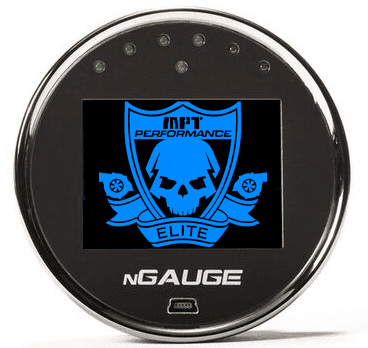 I’m am completely satisfied with the tuning and support from the crew at MPT. Excellent response and support plus a fantastic performing tune. The 93PRX tune is absolutely awesome and the Ngauge is pretty nifty. I wish I could have still used my X4 tuner from my 2015 and save some $ but in hindsight I am completely satisfied with the purchase. If you are thinking about buying this product for your 3.5L Eco truck, do it. You will love your truck even more after it being tuned. I got the 93 and 91 PR-X tunes and a towing tune. The 93 tune really wakes up the truck. 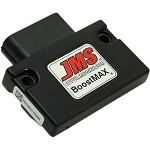 Throttle response it so much better. The truck leaps now when you give it the beans. It’s shocking how fast a 5,200 lb truck can be. It still gets great gas mileage too, if you keep your foot out of it. Hard to do w this tune. I highly recommend it. I also tried the towing tune. I towed an empty 24 x 8.5 ft enclosed trailer from Georgia to Pennsylvania 800 miles @ 65 mph and got 10 mpg which I though was pretty good. Truck had lots of torque. So far, I’m really pleased w the tunes. The NGuage is a little slow to react to inputs. I’m still learning it but I would say it’s a step down from an Access Port gauge from COBB Tuning. This is my 3rd programmer for my 3rd different truck, and I will definitely never drive a stock truck ever again. MPT knows how to tune these trucks!!! And they make them so much better than stock, the shifting, the throttle response, the snappiness, the fuel economy, the price... everything is exactly what I wanted, and SOOOO much better than stock. It's the only way to go. Power gains and acceleration blew me away. Unbelievable how you get just out of a tune!!! 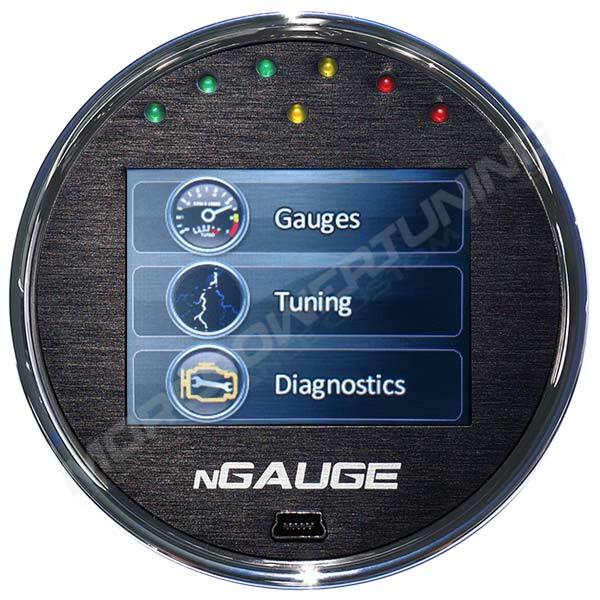 The Nguage Tuner and the 3 tunes were great. Easy to load and the tunes made the truck a different vehicle. Started with the 91 PRX and the truck ran great but since getting 93 octane everywhere was easier swapped to the 93 PRX. The 93 PRX is really amazing. The truck is responsive and really runs great. I would recommend that anyone with a 3.5 Ecoboost make the upgrade! I have to say your product is awesome hands down. My truck is f150 3.5 boost and you sure woke it up. Just last night a friend of mine stopped in and I took him out for a ride. Did a couple boosted lunches for him and showed him how it works. He was really impressed with it. When we got back he told me he wasn’t feeling well. Lmao. He said he feels like he just got off a roller coasters ride. Would I recommend this product to others? Yes I would. My son has MPT in his 2017 and he is the one that sold it to me. Boosted lunch in 4x4 second gear chirp. Amazing tunner! Worked perfectly when the last shop that I brought it to couldn’t get it figured out. MPT got it right on the first shot. Don’t waste your time at other places. Well worth the money and WOW the power! 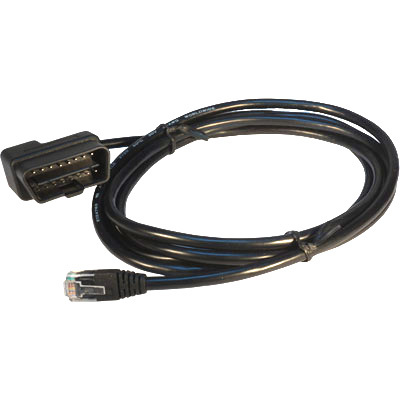 Fast shipping and easy to get in contact for issues. Free smiles and F150 lovin'.